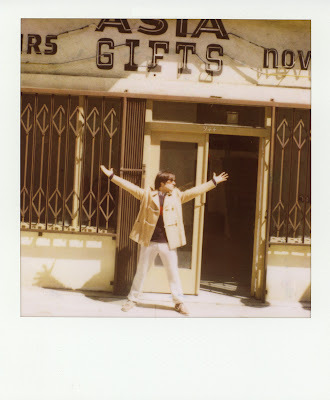 Courtesy of Band of Outsiders. The arts and concepts of the fashion lookbook are as diverse and exciting as the medium of fashion itself. The decision of how to present the latest collection, choosing carefully one's medium, one's concept and the meaning one wishes to convey, is arguably as important as the collection itself. Of course the medium of the runway show is most probably the most prominent of presentation mediums today. Yet even so, there is still a limitation to what one can achieve on the runway. As such one often sees designers choosing to create a lookbook after the runway shows in order to better show their concepts. Indeed I have often thought fashion design is most importantly about concept. In understanding that concept, that idea and image the designer wishes to convey, one can truly appreciate a collection. It can however arguably be somewhat difficult to fully portray concept through the garments alone. Whilst the designs will indeed be worn in isolation, with a buyer picking the piece they most love and incorporating it into their closet, the concept and story behind the collection will still remain. However the story is in that case somewhat incomplete, relying on the buyer to finish and adapt the story to their own lives. As such, I feel that a lookbook which can present a clear concept is most often relevant simply to the art of fashion, rather than directly to the inevitable buyer. It is the presentation which entices, yet also completes the vision of the designer. It gives one an idea behind the potential story of the clothing, and perhaps it inspires one as to understanding the very meaning of the pieces one loves. 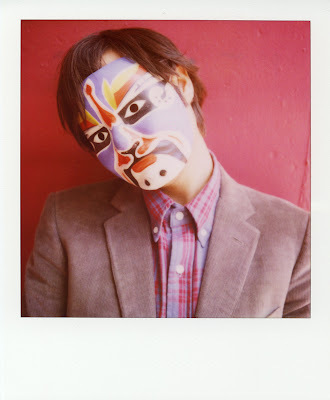 What I love about these Polaroid offerings from Band of Outsiders for their Fall 2009 collection is their simple charm and fun nature. Whilst lookbooks can sometimes stray into the murky depths of artistic complexity, there is something beautifully refreshing about the simplicity and quirkiness of this lookbook. 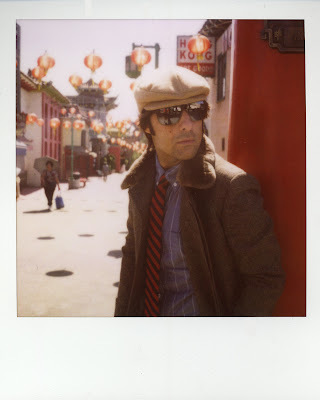 I think Polaroids shall always have that inherently childish allure to them, in that they are such a basic and instant photographic format. 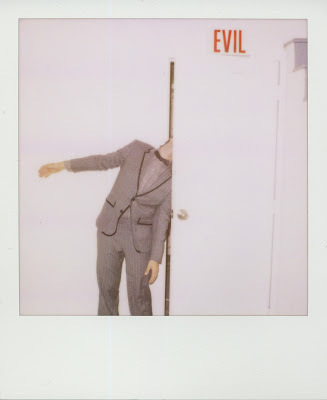 Polaroid for me calls for a certain fun energy when shooting, which is something that is clear in these shots. These shots truly make me smile, and I think that is important when it comes to fashion. Totally agree, the lookbook is glorious. OMG what a great concept!!!!! Brilliant. I love the first 5 a lot. 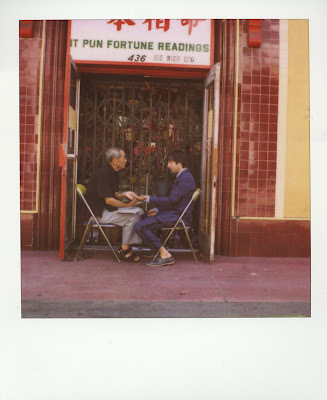 aw, I like the fortune teller shot. I always wanted to get my fortune read but I have so many lines on my hands i'm afraid she probably couldn't read it or its a bad sign. Glad to see your return. :) I've missed you!! I have to say that the marketing team at Band of Outsiders is genius. They picked the best muses - Jason Schwartzmann and Kirsten Dunst - for their lines and have a great medium for their lookbooks. 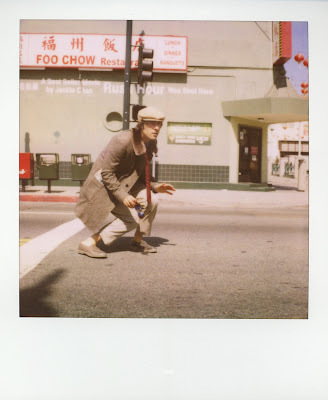 It feels so appropriate to use a Polaroid when they design classic pieces that reflect more of a style that unfortunately seems to be from an era long gone. I just saw "Breakfast at Tiffany's" again in maybe 2-3 years and was floored by Paul Varjak's amazing sartorial sense (or maybe it was the sartorial sense of his benefactor??). I know, it is far better ! Yea, gosh record player would be the ultimate to have ! hope you find a good one . Wow, how cool are these pics !! goodness, I love 'em ! i agree. this is such a great idea. 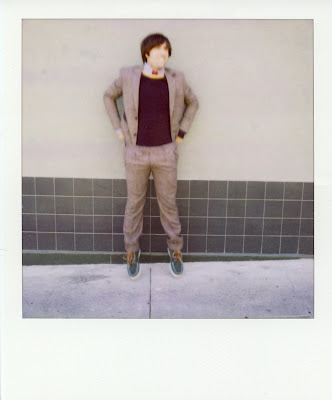 and the clothes fit in with the childlike air of the polaroids. i love that checked suit! these are awesome! :) hope you have a great weekend! Those are wonderful pictures...I love the ones on the bench! I miss seeing your outfits! Love that patchwork plaid suit! Hope you have a fab weekend, DK! i love everything you said and i agree. these pictures evoke a certain emotion outta people and thats amazing. omg!! 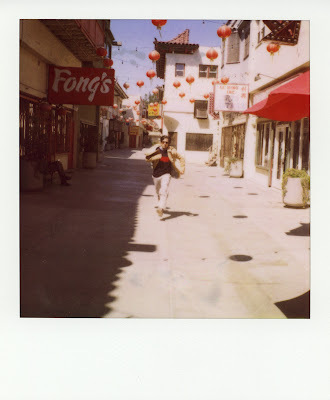 dude...i posted marisa tomei's polaroids on The English Muse a few weeks ago!! totally obsessed with BOO- their whole campaign is amazing. Here's the link to my other post, check it! What fun. 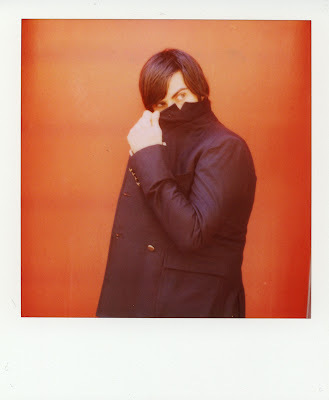 I'm a big Jason Schwartzman fan. 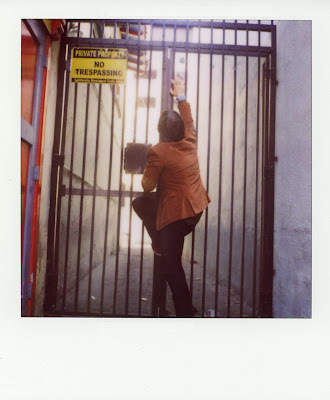 Its great to see him being his fun self in the pics. Pictures do have a way of exposing life and how we interpret it. Thanks much for the note. I do get inspired when I see certain actors for a story. Very glad you're back too. This was fun. 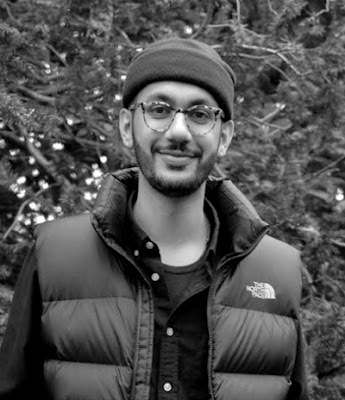 Great way to start your article on Look Book! Great that you are back. Missed you. 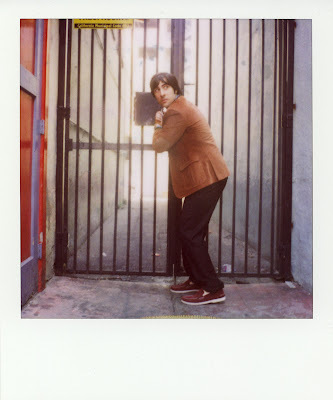 I love Jason Schwartzman, he was brilliant in I heart huckabees. 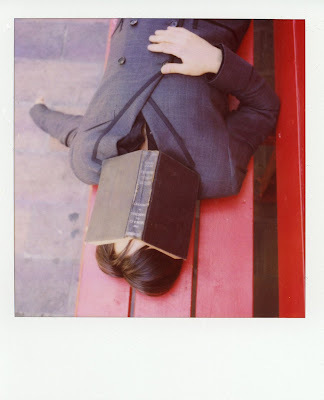 Polaroids are so whimiscal too. So glad to see you're back too! It's been a while! Thats perfectly a great concept to forward up the fashion trend with childhood mix in it. what fun shots! i've only used polaroid once and it was on my highschool prom. just thinking about it makes me excited! I think it makes me buy clothes more if the editorials are in everyday places. Most editorials like to show their people at a ball or some other place that people don't find themselves in everyday. I love the atmosphere of the shots. They exude happiness and style during everyday adventures. My first visit on your fabulous and stylish blog :-D I like it veeeeeery much! Wow, this is a fantastic lookbook - I love the entire collection! 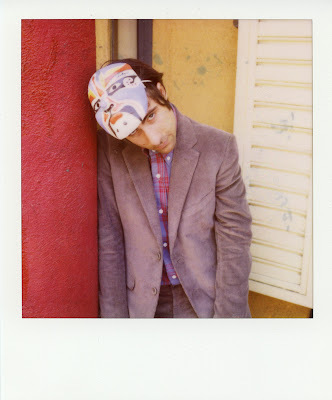 Jason Schwartzman is just amazing! Great outfits, very funny and charming pictures and moments. So playful and cheeky :-D Thanks for sharing! i was going to say these remind me of The Darjeeling Limited...well of course they do, it's JASON. great post. 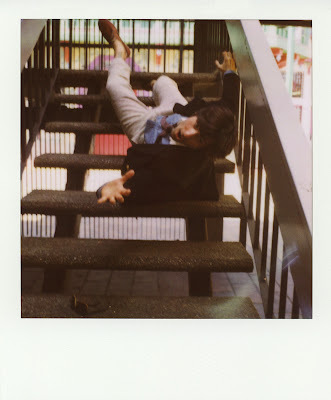 still trying to find film for my Polaroid, argh. I miss you! I hope things are well love! UMMM this is the most amazing lookbook I have seen!! And I'm serious! Thank you for sharing this with us...incredible. It made me smile too...that's is TRULY what is really important! These are brilliant! 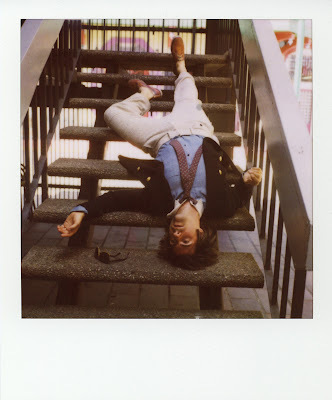 I have a falling down the stair pic EXACTLY like that...seriously--the body is identical. First Kiki now him? Band of Outsiders is brilliant. Love Jason. Love these photos. Glad you're back! i love these photos. the first one is amazing. they do such an amazing job of showing the clothing an providing wonderful inspiration. Sorry I have been absent for a bit---my summer has been insane! 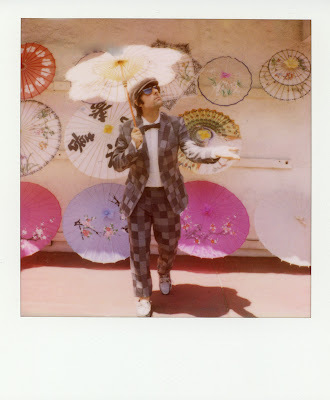 I must admit that I can't stand Jason Schwartzman as an actor----but the shots were quirky and fun. The lookbook is so beautiful ! 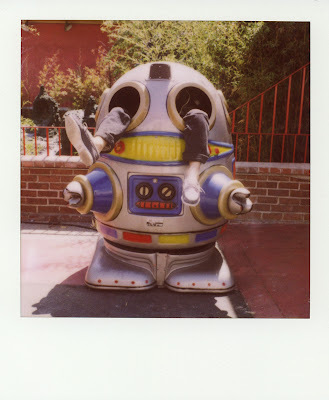 Loved all those poloroid shots ! I love them so much! You're so right about the quirkiness and simplicity. They don't feel so contrived like some lookbooks do. 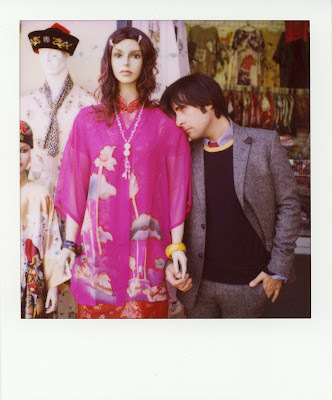 Any lookbook with Jason Schwartzman is terrific in my book :) I love the playful nature of these. Most of the lookbooks I get sent to me are fairly boring. They're primarily there to promote the clothes, not the concept and they seem to be a more blatant 'buy me' than runway images or anything - in any case, many use them as an extension of runway shows. I would love more designers to use it as a medium to promote a concept or idea, rather than just the clothes. I think many misuse ad campaigns for this instead, but ads are primarily there to promote the lifestyle of a collection or a general vibe. They'll never be able to go as in-depth as a lookbook and actually play out a story. Glad you're back by the way (I was getting worried there ;-) and hope you have a lovely weekend! 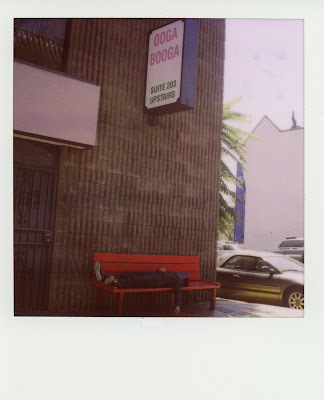 I totally agree with you, the whole concept of a lookbook does tell a story and i love the use of Polaroid! 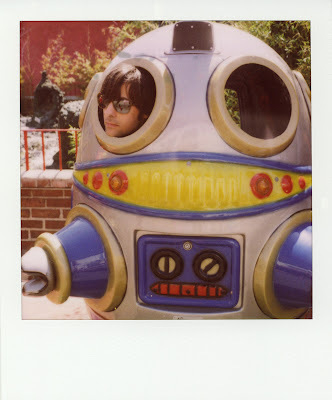 BoO and jason schwartzman are the perfect combo! 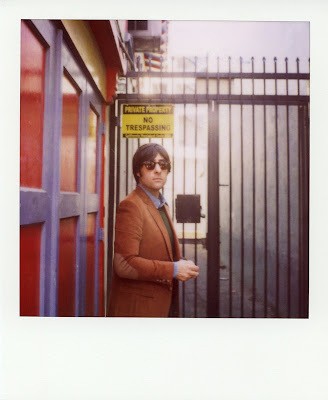 they have an excellent look to them, i love the pola vintage vibe. Hey DK! How are you? 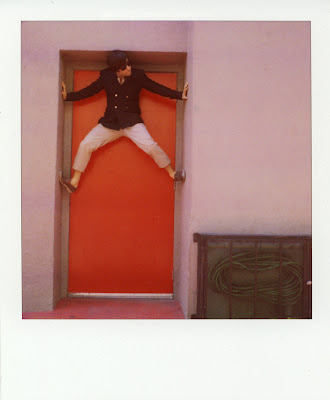 Love the quirkiness of these photos. Jason is a perfect fit. My fav is the first image. Hope you are doing well!